We ship almost all of our orders out through the US Post Office. 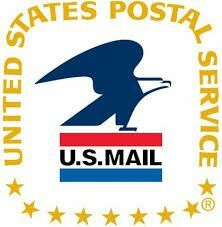 We are located in the same building as the Post Office in Sand Creek, so it is quite convenient for us to ship with this method. Occasionally, we get requests to ship with FedEx, UPS, or DHL, but unfortunately these carriers do not have drop-off locations nearby us. Also, the Post Office has the best shipping rates for the types of packages that we typically send. Small orders are shipped First Class Mail, while most things over 1 Pound are shipped via Priority Mail. We ship most orders within 24-36 hours of placement. Transit times are usually 2-3 days in the US, about a week to Western Europe & South America, and a bit longer to parts of Africa and Asia. Our International shipments are also typically shipped with the US Post Office. We have shipped seeds to 100+ countries of the world, but in recent years it is becoming more and more difficult to get seeds into certain countries. Small packets of seeds are allowed in most countries, but larger amounts may require a Phytosanitary Certificate. In the past, we had filled out Phytosanitary Certificates for our International customers (for a nominal fee of $75), but discontinued the service in 2016 after the State made more and more unreasonable demands for information that we could not provide. It seems that it is very difficult to ship seeds to countries like Germany, Italy, Russia, Egypt, Saudi Arabia, South Africa, etc, while others like UK, France, Canada, Japan, etc being fairly easy. Any seeds shipped to foreign countries is shipped at the buyer's risk, as we cannot assume losses from seeds that are stopped and/or destroyed at the customs offices of these countries.